A few weeks of ago, we heard how David brought the Ark into Jerusalem. The Ark was a symbol of God’s presence among the people and the people had forgotten about the Ark, and in many ways, the people had forgotten about God. So David brought the Ark to Jerusalem with singing and dancing. It was a sincere renewal of faith – hearts returning in faith to God. But now, we move to our reading for this morning. Some time has passed – no wars going on at this time in Israel’s history – and David, Israel’s King, has built a comfortable palace for himself. And David thinks God should have a house. But, God will have none of it – perhaps it’s because, as we learned when we were first introduced to David, that God looks upon the heart. God knows what David is really trying to do – that this is really an attempt by David to gain political power. And this is where I want to focus this morning – this tabernacle, which was really a tent, is the way that God had been present among the people since the time of Moses. It was like a portable church – it could be taken down and moved whenever the people moved. It meant that God was with the people where-ever they went. At the time it was constructed it represented a shift in how God related to the people. If you recall the story of how God gave Moses the 10 Commandments, we see God showing up on a mountaintop. God invites Moses to come up. God lives on the mountain. But with this tabernacle tent, God’s dwelling was no longer a fixed place, but moved along with the people. God had come down from the mountain and was now with the people wherever they were, a fact which highlights one of the greatest truths of our faith. Author Kelly Fryer, who wrote a book titled “Reclaiming the ‘L’ word,” – ‘L’ as in Lutheran – shares an experience she had with one of her seminary professors. In one class, she writes, the professor went to the white board, and drew an arrow pointing down and said “If you understand that, you understand everything you need to know about the Lutheran understanding of the Christian faith.” And then he left the room – leaving them all to wonder what that downward arrow meant. We see this most clearly in Jesus. We celebrate this truth at Christmas, that in the birth of Jesus, God has come to dwell with us, to live among us. But we also see this in the Old Testament of the Bible. We have this powerful truth that weaves its way throughout the Bible: God is with us. Through Moses, God freed the people from Pharaoh and then God went with them and dwelt among the people in that portable, tabernacle tent. And that tent says something about God. It means that God is on the move, in and among the everyday trials and struggles, joys and sorrows of people’s lives. God is not fixed in one place. God is mobile. God can NOT be boxed in. Yet, this is exactly what David wants to do. You see, David’s plan to build God a house is about more than simply doing a nice thing for God. David is proposing a major theological change in the way that God is viewed. God will no longer be a God who travels with the people, but a God who expects the people to come to the temple, in David’s city, to experience God’s presence. David needs to learn that God cannot be claimed exclusively for himself. David needs a better understanding of how God works in the world, dwelling in the midst of all people, the poor, the oppressed, not just those in power; people of all nations and races and languages, not just us. If we’re going to have a church building, it must be a place where all people are included, all people are embraced, not just people of certain class or race or nationality. 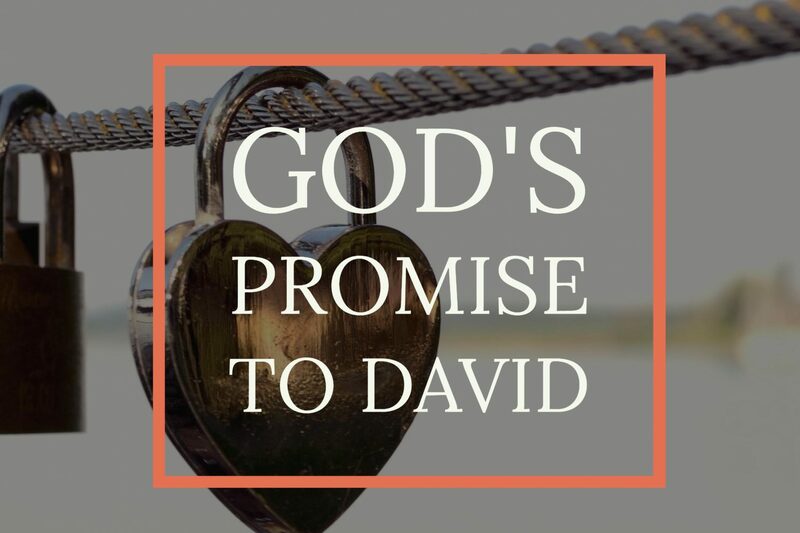 And so God says “No,” and then makes David a promise. And this is what connects David to Jesus. In the gospel of John we get an explanation of what this will mean for us. And this Word that became flesh is Jesus. It’s what we proclaim today in baptism – God’s promise to be with Caden, to dwell with him and in him all the days of his life. God promises to pitch his tent into the very center of Caden’s life, and God promises to pitch his tent into the very center of our lives. And then God calls us, in our everyday lives, Monday and Tuesday and the rest of the week – at home, at work, where-ever we are – to learn from him, to listen to his word, and to follow his Son, Jesus. He will be our light in the darkness, our way through the wilderness of life, and our savior from sin, death, and the devil. This is the good news we proclaim today. WHo is Caden? Our new pastor is Mark Olson. We are sad to see Pastor Lee Yarger go but excited to have Pastor Olson who came to us from a church in Walker. Caden was a little boy who was baptized on that day. I went to seminary with Mark Olson, and I’m very excited for Faith Lutheran and for Mark. I’ll be praying that it goes well!